Is making money from blogging from things outside of the typical AdSense and Amazon affiliate marketing a real world possibility? If you own a blog that is getting 10,000 or more monthly visitors, using AdSense and Amazon for generating income is a no-brainer. But what if you aren’t getting those traffic levels yet? How are you expected to monetize? This is the real challenge, and is the demographic that most bloggers fall into. Much like in physical life, there are many stages to the life cycle of a blog. A new blog cannot be accurately compared to a blog that has been around for ages, even if they are about the same topic. It takes a good bit of time to build a survivable income from blogging. Regardless of what you may have read on other blogs, no success truly happens overnight, even in the digital world where things go “viral”. So what do you do in this case? First, figure out what stage in the blog lifecycle you are. Then, work from that. There is no perfect formula for a fast track to blog traffic. Sure, you can increase blog traffic through some checks and balances. However, you need to be both consistent and patient, and it takes time. With that said, here are some unconventional methods to obtain streams of income to your blog, regardless of traffic levels and blog size. But how much money can you make with freelancing? How do I get going? How can I make money? But how much money can I make with ebooks? If you are on the hunt for a method to begin the money making processes in the shortest time frame, check into coaching. Providing customers and prospects immediate access to expertise, products and services is a hot seller. It does not matter when your blogging life began, or the amount of experience gained in that time period. Offering coaching services to motivated clients can and likely will bring in clients. It’s inevitable that your readers will end up facing some kind of challenges in their lifetime. The responsibility of a coach is to assist these people in management of these challenges, and to react positively versus experiencing frustration and giving up as a result. 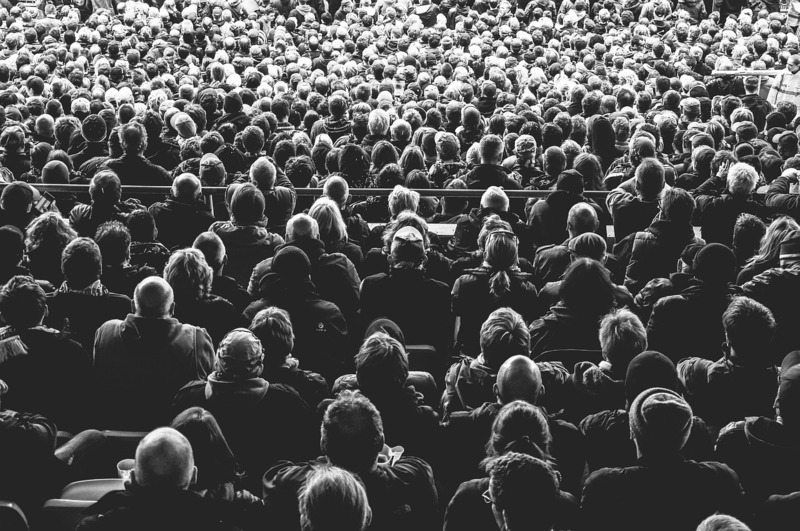 Hint: you can utilize your blog as an awareness platform for nurturing your loyal audience. Many bloggers began as online coaches long ago. They struggled initially to garner regular clientele. However, they overcame this challenge through social media outreach and engagement. Remember, so many people are looking to learn new skills in your niche, or to improve in areas. Coaching services may seem outdated, but are actually quite in demand. The results of processes speak for themselves. An advantage is that there are many places to venture as a coach. It goes well beyond life coaching. As a coach, you will assist people with constructive challenges in their lives as it relates to your chosen niche. A solid example of this is web development. If that is your niche of choice and area of expertise, you may have a customer needing someone to assist with adjusting to changes in the industry, or how to obtain the best rates. The first thing that you need to do is develop interesting, useful content on subjects mattering to prospective clients. When offering services, you also will need a very strong proposition of value. In most cases, your market of choice is somewhat saturated. Having an incredible reason why people need to use you versus competitors provides the edge. Educate prospects on how to reach goals, vault challenges, or avoid risk in ways that can be immediately put into practice. Improve perception of their business. Create the confidence needed for them to trust the recommendations you make. Lead your customers to proven and constructive processes. Encourage them to increase success drive and ask questions. Regardless of the industry, offering coaching services can greatly assist others in reaching their goals, while at the same time making you money. Remember, a coach is an entrepreneur. And while coaching may not seem like a solid income source per se, it should be noted. If you have courses and materials, you make them once, and then use them with all clients and customers. If you are a blogger already, you have the necessary skills to freelance on demand. 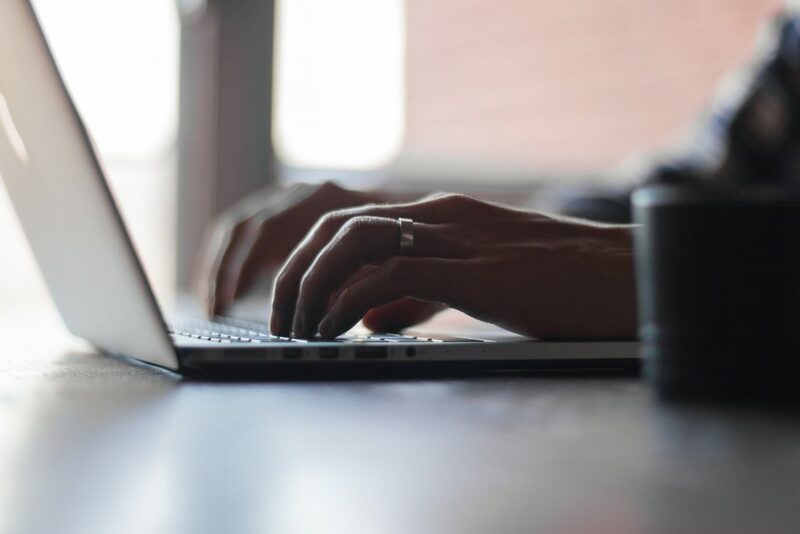 Brands are always on the lookout for writers who have skillsets relevant to their topics. Becoming a freelancer can change your financial life. Just look at John Bourscheid, an analyst with a penchant for writing who, within a matter of a few months, built up a freelance client base through word-of-mouth that led to his freelance blogging income eclipsing his day job income. Freelancers have it better than you’d think, too. In fact over 60% of them agree that their life as a freelancer has experienced a positive push in the past year. 20% made over $50,000 last year, and 5% made over six figures. Also, well over half of freelancers do so full-time, without a full time job to compensate. Freelance writers are professionals. They write articles on several subtopics for landing pages, websites, email marketing and more. However, a freelance blogger has specialized skills. They understand audiences of specific blogs, and can develop content to drive actionable change. Freelance bloggers with impressive skills and solid networking can easily make a living from the efforts of their work. And the money tree continue to giveth. 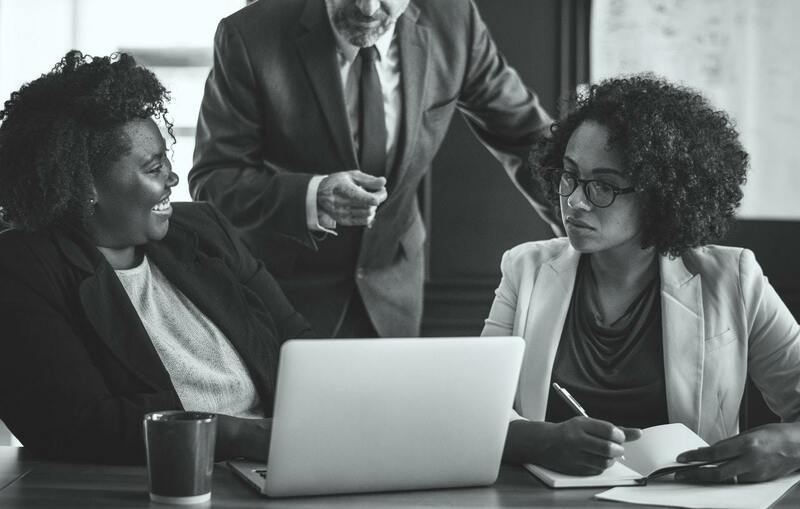 Business to Business (B2B) and Business to Consumer (B2C) companies are quickly recognizing the value of content for lead generation and development of audiences. You’d be surprised, but the freelance market is still relatively uncharted territory. “But writers are all over the place, right?” Yes, however those with experience with WordPress, search engine optimization, social media management are far more difficult to discover. Can you add these skills to your writing? If so, you will become a very in-demand blogger. Eventually, clients will refer clients to you, and you will be off to the races. An additional profitable method of blog monetization with blogs that are just starting out are to sell online courses that you have created. You aren’t going to need a treasure trove of customers and leads. You can make money with online courses rather quickly. Just start from your current state, and scale from that point. People enjoy online courses and derive value from them. Even if information can be researched and dove into for free, people appreciate the convenience of a one stop shop. Online courses that focus on specific topics or subjects are organized and can be put into action readily. Blog posts alone have a lower perceived value than online courses do. This is because your target audience can see the amount of time that was spent developing these courses. Consequently, they determine that it offers a form of value. Don’t be scared to create online courses on topics that are covered thoroughly online. Blogging sets you up to be a subject matter expert. Where you started didn’t matter. Having a WordPress blog that assists others with content destroys the question of your experience. Through your blogging, you can earn your living. Almost 15% of bloggers earn a solid amount of money just through their blog. Developing online courses are solid methods to push your blogging career upwards. Instead of writing for everybody, you curate a platform to deliver your strongest content, directly to your consumers. Online courses are wildly popular, even in 2019. This is why there are a ton of platforms created to develop and sell online courses to others. Keep in mind online course markets evolve daily. 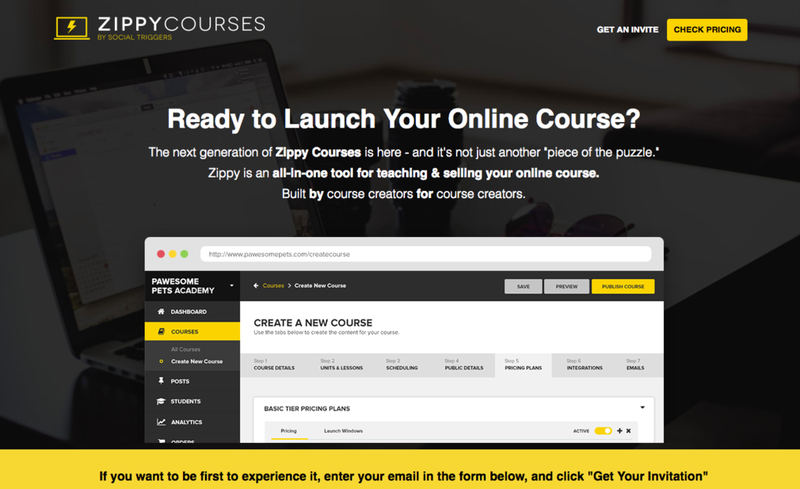 Sites such as Course Merchant, Teachable and Udemy have become incredibly popular with instructors and marketers. The platforms are growing all the time, too. As bloggers, you cam make online courses on any topic people seem to struggle with. It doesn’t need to be complex topics. It can be as simple as “How to use Excel to Create a Budget.” As long as you make it useful, unique and engaging. Are you looking to derive income from writing short to medium length ebooks? 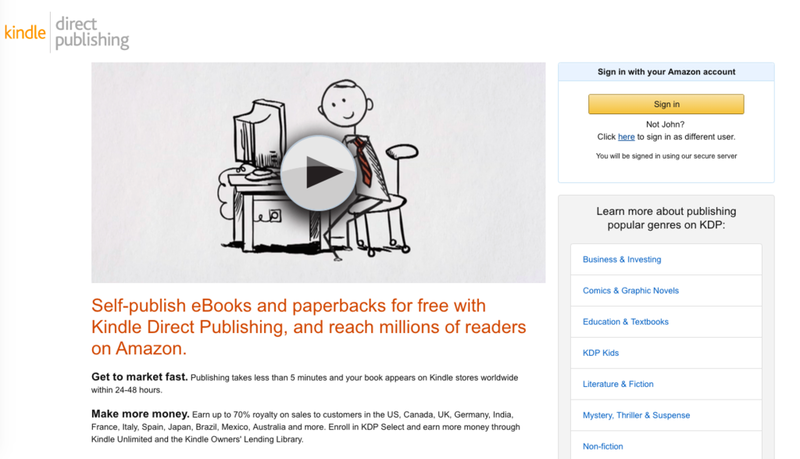 People are making a killing with Amazon’s Kindle publishing platform. The sales of ebooks in the United States has grown massively thanks to Amazon’s Kindle platform. There is no doubt in anyone’s minds that this growth will continue steadily. In terms of ebook reading, this can be done with just about any device. However, Kindle is used by almost half of ebook readers. The great thing about making money and writing Kindle ebooks is that there are tons of buyers ready and willing to buy products from Amazon, one of the most trusted platforms in existence. Amazon is the king of online shopping. This being the case, there is no need to convince people to trust the platform. Its credibility speaks for itself. People are aware that hosting an ebook through Amazon passes through some of the credibility of the platform into your product. However, it’s not as easy as “Hey, here’s an ebook”. To make a solid income from this unconventional method, you need to work hard and publish often. The higher the quality, though, the more you will make. It’s correlated. Remember, quality over quantity. You will likely need to provide several shorter ebooks to maximize profit potential. Individually, they are relatively inexpensive… most likely $1 to $5. This may not sound encouraging to you. However, if you price your ebook at $4 and sell 300 copies each month (10 a day), that’s $1,200 in income a month. For one ebook. For something you did once. 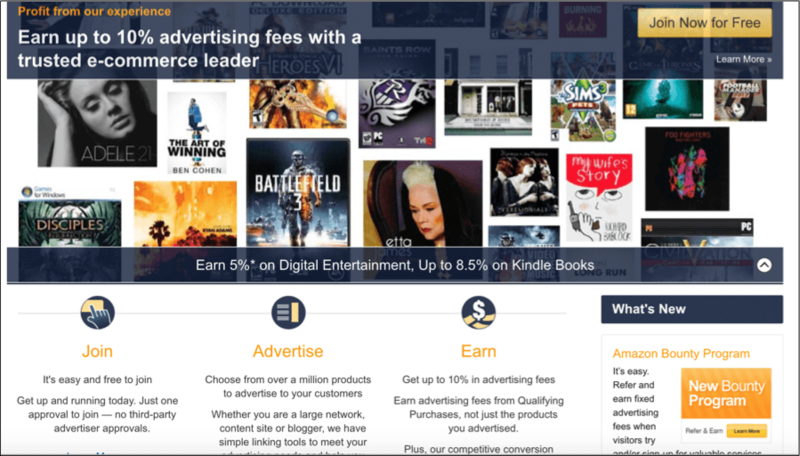 Start immediately if you think that Kindle direct publishing (KDP) is the strongest model of unconventional monetization for your growing blog. Remember, Kindle ebooks are sold at Amazon, however your blog is a wonderful tool for pre-selling your ebooks, and directing buyers to your store. Your blog can be utilized to provide discounts, promote your ebook, and give out free copies of your book for solid and honest reviews. Getting a good review base is a must to boost rankings and sales. You do not need to spend money to promote your ebooks. With your blog, you have the audience, influence, authority and platform to push your agenda. With blogging, you can easily launch your ebook and generate sales. Generating an income from blogging with things outside of Amazon and AdSense affiliate earnings is a definite possibility. Regardless of your blog size, you can make a decent income. Sure, if your blog is getting crazy traffic, affiliate marketing is a strong and surefire, more passive income method. But if you aren’t at great levels of traffic, some of these unconventional methods are wonderful for getting started and maintaining a great income base.